The Nature of the Firm: Why do firms exist? In his seminal paper The Nature of the Firm, Ronald Coase attempted to answer the question: Why are there firms? To approach this question, let’s take a step back and think of a production system comprising of many individuals represented as nodes. 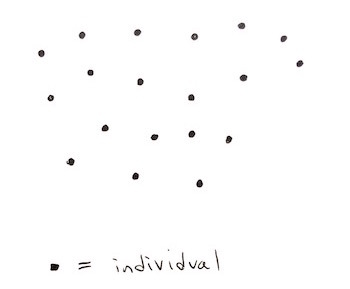 Each individual contributes to a different part of the production process, but also requires inputs from other individuals throughout the system. 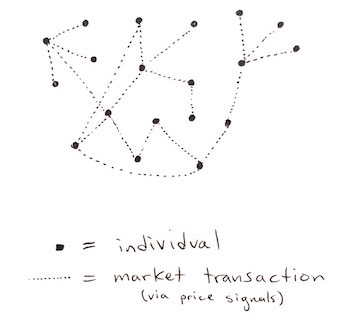 The coordination between these individuals occurs through price signals in the free market — i.e. market transactions. Through price signals in the free market, the individuals collectively reach an equilibrium of what they produce, how much they produce, and their rewards for producing. For econ wonks, this is called the Walrasian Equilibrium. But in the real world, that’s not the whole story. It turns out that groups of individuals often join to work together — that is, as a firm. 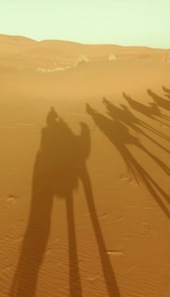 And what is most interesting is that the firm organizes within itself without price signals. Instead, the firm is centrally planned by the entrepreneur. But why do these firms emerge? Why don’t those individuals continue to act independently and coordinate through price signals in the free market? Coase says the reason that firms emerge is because of transaction costs. These are costs that naturally emerge from using the free market. Transaction costs are things like: information asymmetry, escrow fees, contract writing and negotiation, regulation compliance, the lack of an established market, brokerage fees, sales taxes, the risk of trade secrets being leaked, etc. Transaction costs act as friction to market transactions, making it costly and difficult to use the price mechanism of the free market. Coase says that the creation of the firm can reduce these friction by bringing people “under one tent” and removing the need for individuals to trade with each other in the free market. Instead, individuals provide their services to other individuals inside the firm according to the firm’s organizational structure. This removes transaction costs that would have otherwise been encountered in the free market. Instead of contracting a lawyer every time a legal question arises, a firm will hire the lawyer as an employee and form a legal department. Instead of contracting a designer every time a new prototype is required, a firm will hire the designer and form a design team. Instead of contracting an engineer, a firm will…. That is why firms exist: To reduce transaction costs associated with using the free market. And in what world would firms not exist at all? In a world with zero transaction costs. Without transaction costs, the free market equilibrium (Walrasian Equilibrium) would prevail. In this sense, the firm is the anti-thesis of the market. Unlike the market, the firm is centrally planned, removing the need for price signals between individuals. 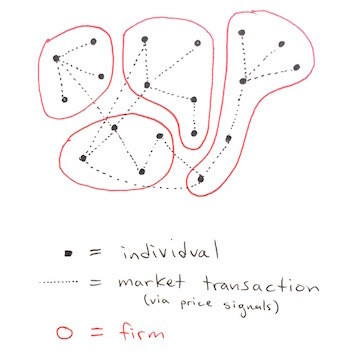 Firms can then trade with other firms and individuals using price signals in the free market. 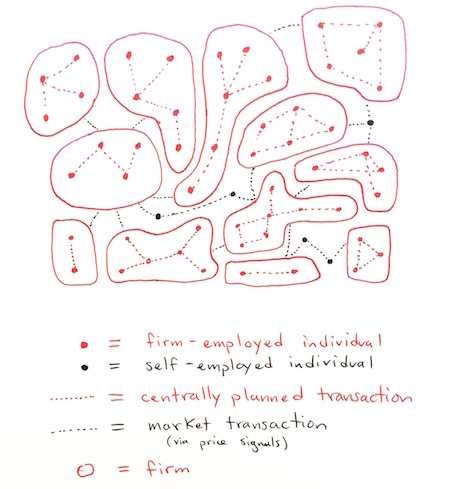 Firms are thus blobs of centrally planned economies operating within a free market ecosystem. The firm centralizes what was once decentralized when the cost of decentralization is too high. The creation of firms helps the ecosystem resemble the idealized free market equilibrium (Walrasian Equilibrium) that would arise if there were no transaction costs. 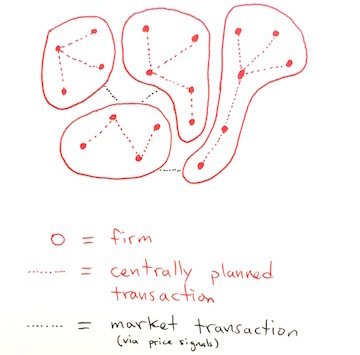 Outside the firm, production is directed by price signals through market transactions. Within the firm, production is directed by a central planner (the entrepreneur), removing the need for market transactions. Coase predicts that ecosystems with larger transaction costs will tend to create larger firms. On the other hand, smaller transaction costs tend to create smaller firms. Coase also predicts that more individuals will tend to create more firms and larger firms. On the other hand, fewer individuals tend to create fewer, smaller firms. In the limit where transaction costs go to zero, the firm will go extinct and everyone will be self-employed. In reality, an ecosystem will have many firms of many sizes and structures, producing many kinds of goods, and include many self-employed individuals navigating the free market. Thanks for reading. Tell your friends. for me this was the information I needed but didn’t get it in time but now I understand thank you for this articl,this is gonna help me in my exam.